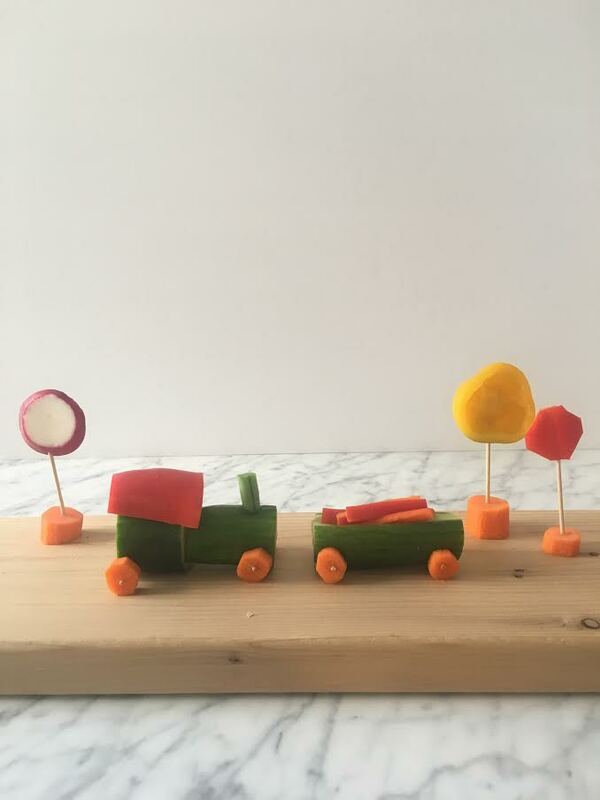 Veggies taste better when they're shaped like trains! Watch the video to see how they're made! The "smoke" coming out of the carrot and pepper locomotive is a sprig of rosemary! The center cargo train is filled with some yummy dip and sprinkled with a little paprika. I hope you'll give these a try!